Summer 2019 Sports Registration is OPEN! **Please contact with general registration questions. 2019/20 Travel Soccer Tryouts - Registration Open! 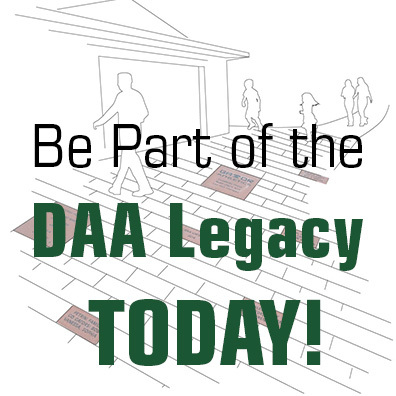 Be Part of the DAA Legacy! Buy a permanent brick in the Gator Walk! This is a space to list items lost or found at DAA locations. Please email registrar@daagators.org to add or claim items.